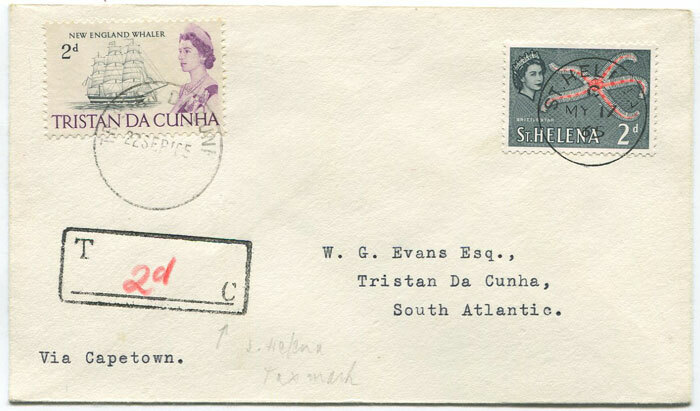 on cover from St Helena with 'T' mark. Fine. 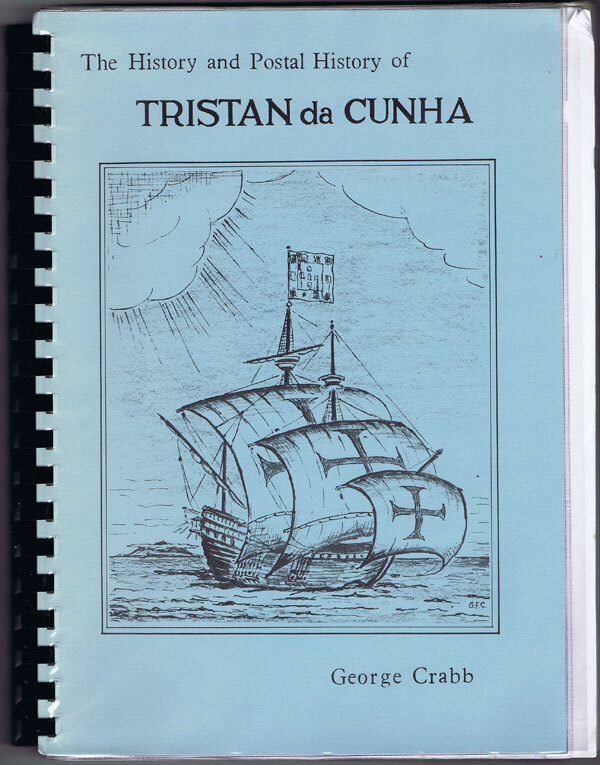 CRABB George The history and postal history of Tristan da Cunha. Published by the author 1980 347 large pp + loose errata . 1st ed., fine in original blue card covers in ring binding. Comprehensive and detailed study with many illustrations. Recommended.